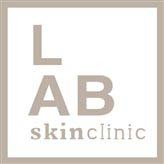 At LAB Skin Clinic, Neutral Bay, you will receive a FREE microdermabrasion treatment (worth $55) and your skin consultation will be free when you have a face or skin treatment. Book a skin consultation (called a Beau Visage Consultation), for which you will need to prepay $50. When you have your first face or skin treatment, this cost is redeemed off your treatment plus you receive a free microdermabrasion treatment. The time spent analysing your skin and listening to your concerns will give you an immediate improvement and more targetted results. At LAB Skin Clinic, you will experience positive skin, face and body improvements in a caring and pampering spa environment. We’re here to help and guide you to having a flawless and more youthful looking skin… and relax, knowing you’re at the right place. FREE Microdermabrasion treatment at LAB Skin Clinic, Neutral Bay – Call 02 9909 3602 or click on the link below to make an appointment. NOTE: If you believe you will want to proceed with a skin treatment on the day of your first visit, add the microdermabrasion to your booking.